Nick Fawcetts Light IN THE DARKNESS gives you 70 themed, engaging and culturally relevant meditations to resource the leadership and worship of your group, church or school and everyone taking part. Each of the 70 meditations gives you a first-person, eye-witness account from a Bible, Gospel or Passion narrative. Every meditation is supported with the complete, relevant Bible text and a short, direct prayer that springs straight from the narrative. 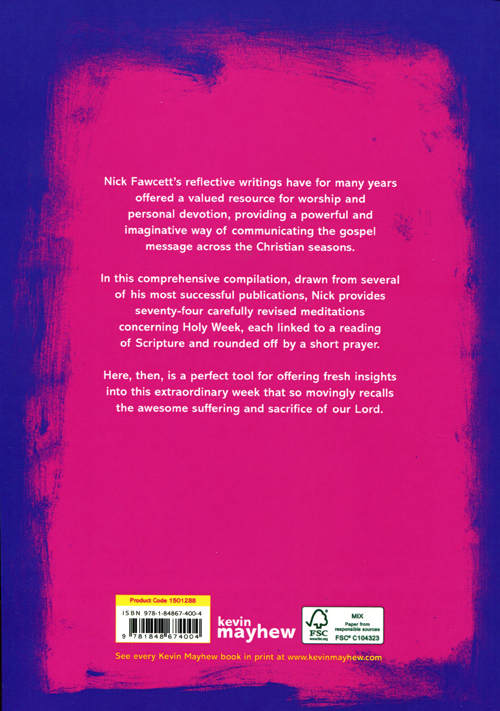 Original and revised material from 8 of Nick Fawcetts popular and successful previous titles including No Ordinary Man 1 and 2 and A Most Amazing Man 1,2 and 3 provides a concise, comprehensive and practical Lent worship resource. Each meditation can be read as part of a private devotion, publicly in school or church, or performed as a monologue linking the Bible text and prayer into an engaging act of worship. 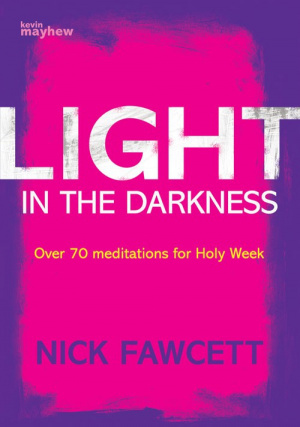 Light IN THE DARKNESS is the second in three collections of first-person monologues/meditations on Jesus life, death, resurrection and beyond. Each is supported by a practical, alphabetic index to the key themes, personalities and Bible references in that part of the collection. Light in the Darkness by Nick Fawcett was published by Kevin Mayhew in December 2011 and is our 5853rd best seller. The ISBN for Light in the Darkness is 9781848674004. Be the first to review Light in the Darkness! Got a question? No problem! Just click here to ask us about Light in the Darkness.